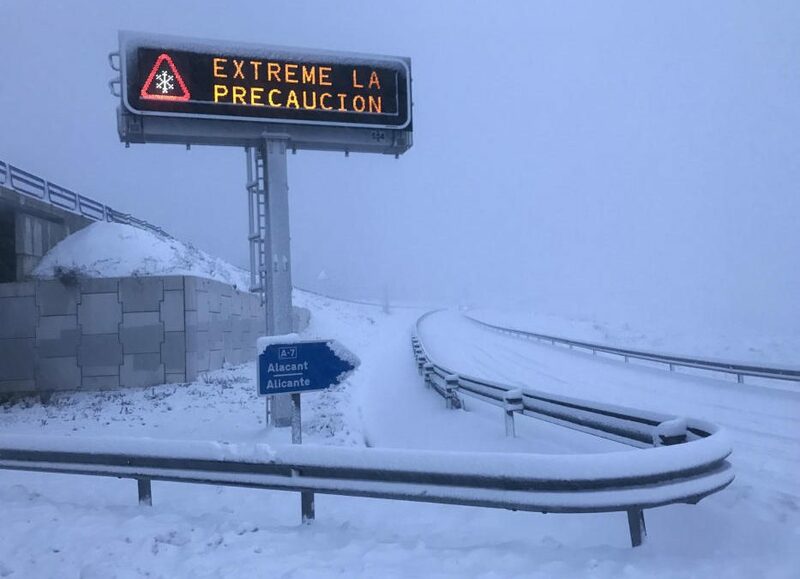 “Authorities say some 2,000 people were trapped overnight in vehicles as heavy snowfall cut off several roads in easternSpain. The army’s emergency unit said Friday it was distributing blankets and hot drinks to hundreds of people trapped on the A3 highway linking Madrid to the coastal city of Valencia and on other roads in the region. Soldiers and firefighters used snowplows to try to clear the snow, managing to open A3 traffic toward Valencia although it remained blocked toward Madrid. Some train services in the region were also interrupted. Heavy snowfall and rainstorms have hit many parts of Spain this week with some eastern coastal tourist towns reporting their first snow in decades. The AEMETweatheragency said that more snow and freezing temperatures were expected Friday.” .